Since 2007, Revevol has been focused primarily on the adoption of new tools that are brought to the enterprise by the “giants of the cloud”. Since then, we have helped over 2 million users in over 80 countries move to the cloud and learn new ways to collaborate, the majority of whom are on Google’s G Suite. 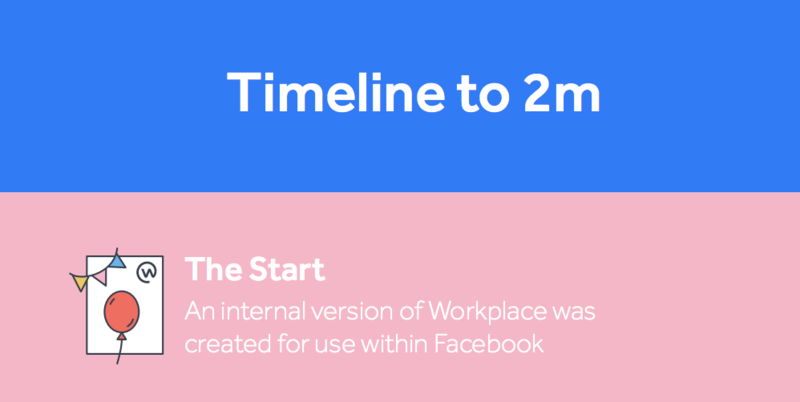 Two years ago with the launch of Workplace by Facebook, the partnership for which Facebook selected us offered Revevol the opportunity to transform the Intranet and employee engagement with the same innovation and discontinuity that we have always brought into the collaboration arena. Gone are the days of dusty intranets that leave plenty of room for shadow IT, where employees interact via consumer tools like WhatsApp, or worse, communicate through Facebook groups behind the back of their own company (even if completely in good faith). Over the past two years, we saw Workplace grow to fill a gap in the digital workspace, setting a new benchmark for employee engagement and communications. Today, Workplace serves over 2 million paid users per month, with over 150 of its organizations weighing in at over 10,000 users. As a trusted Facebook partner since the humble beginnings of Workplace in 2016, we are proud to announce that Revevol has helped over 10 percent of the 2 million paid Workplace users globally adopt the platform! We have contributed to prove that Workplace connects all employees in an organization – from the CEO to the newest recruit, using familiar Facebook features like News Feed, chat, video calling, posts, groups and events. The platform offers a secure way for companies to share knowledge, work together and build connected, meaningful communities, which drives trends of increased employee engagement and productivity. Since the launch of Workplace in 2016, we’ve seen global brands of all sizes and industries join the platform, including names like Starbucks, Walmart, Oxfam, Hootsuite, and Spotify, now representing well over 30,000 different organizations. Having worked with Workplace on success stories like Telefonica, Air Caraibes, Kiloutou, Consolis, Groupe Bel, Euralis, and many others, Revevol understands the winning formula to successful Workplace adoption. Our Workplace launch and post-launch offerings provide customers with the added benefits of an expert team assisting both with technical deployment and implementation, and ongoing, long-term transformation support.